There are some places in the world where humans quite simply should not go. Not just haunted places, but sites where ancient forces still hold sway. We can recognize such locations by the responses they evoke within us—that feeling we call "the creeps." But just where are these places, and why do they terrify us? 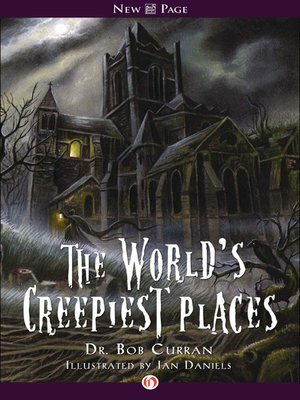 In The World's Creepiest Places, Dr. Curran visits some of these sites, looking at their history and traditions and exploring the creepy feeling they evoke in people who have been there. His travels range widely—from his native Ireland and through the empty deserts of the Middle East, to the misty hills of Tibet and back through Europe to America. He's not only looking for ghosts, but also for sinister people, vampires, the living dead, doorways to other worlds—even venturing close to the Gates of Hell itself! This is not just a ghostly travel book. It's for those who want to explore the weird, out-of-the-way locations of our planet and test the boundaries of the reality many of us take for granted. We dare you to take the journey with us!